A tragic case in San Bernardino County that involved a six-year-old girl who was struck by a car while crossing the street to catch her school bus demonstrates several things. Isabella Escamilla Sanchez, a minor, by and through her guardian ad litem, Carina Sanchez v. County of San Bernardino, a public entity; City of Highland, a public entity; et al., San Bernardino Superior Court, case no. 1309504, shows that accepted practices are not necessarily safe. The case also demonstrates how notice can affect the outcome of litigation and the vicarious liability that employers have when their employees’ negligence result in injuries to others. On Oct. 3, 2012, Isabella Escamilla Sanchez, a six-year-old, attempted to catch her school bus by crossing the street at midblock. She was struck by an oncoming Subaru Impreza and suffered numerous injuries, including a traumatic brain injury that left her with lifelong disabilities requiring round-the-clock nursing care. 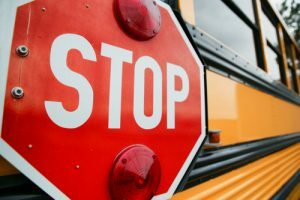 Her family filed a lawsuit against the Durham School Services because the drivers failed to report mid-street crossings by children in violation of their own policies. When a person is injured in an accident in in California and share a part of the blame for the accident’s cause, he or she may still be able to recover damages for the losses that were incurred. California follows a rule called comparative negligence, which means that people who have some of the fault may still recover compensation. However, the amount that they may receive will be reduced by the percentage of fault that is allocated to them. Allegations of partial negligence may not always result in a finding that a person was comparatively negligent, however. A recent case in California, Steven Meier v. PennySaver USA, LLC, et al, Riverside Superior Court / RIC1507069, demonstrates the principle that if a person’s negligence did not contribute to the accident, the person may still recover all of his or her damages. Steven Meier, a 59-year-old security guard who worked for Securitas Security Services, was working at a PennySaver USA facility on Oct. 20, 2013. While he was patrolling, a Pennysaver USA employee who was operating a forklift reversed into Meier, dragging him 15 feet and pinning his leg under the equipment. Another piece of machinery had to be brought in to lift the forklift off of his leg. Doctors attempted to save his leg, but it had to be amputated below the knee. Meier filed a lawsuit against PennySaver USA for its employee’s negligence and the company’s vicarious liability for the employee’s failure to look in the direction of travel while he was reversing the forklift. A provision that is included in pending legislation in the U.S. House of Representatives may result in fewer truck drivers in California taking needed rest breaks while they are working. The bill would apply to truck drivers who drive into California from other states while exempting them from California’s mandatory rest break requirements. 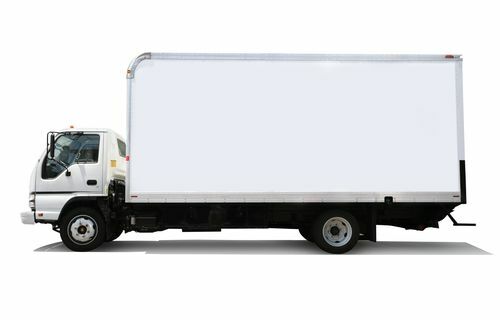 If this bill passes, truck drivers may be more fatigued and cause more accidents in both California and in the rest of the U.S.
A provision that is included in a House appropriations bill would exempt interstate truck drivers who drive into California from following the strict rest and meal break regulations in the state. Under California law, all workers, including truck drivers, must take one 30-minute meal break every five hours and one 10-minute rest break every four hours of work. Some other states, including Kentucky and Colorado, have similar rest and meal break laws on the books. Federal law only requires that truck drivers take one 30-minute break during the first eight hours of driving. Officials in California are concerned that reducing the amount of time that drivers spend resting may result in increased injury and accident rates in the state. 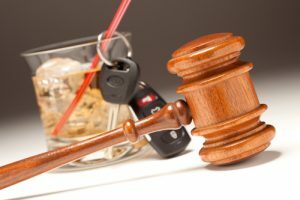 When can an employer be liable for their employee drinking and driving? In some cases, employers in California may be liable when their employees are intoxicated and cause accidents. Plaintiffs may be able to sue the employers under a legal doctrine called vicarious liability. Employers may also be liable if they negligently retain or hire an employee who then injures others while drinking and driving. In a recent case in Los Angeles, the principles of negligent retention and vicarious liability were demonstrated. In George v. Firstservice Residential California LLC, Los Angeles Superior Court case number BC534796, a man was seriously injured when he was being driven by an employee of Firstservice Residential California LLC. Lance Sandman was a general manager of the company, and he was driving the plaintiff home after the pair had left a pub on March 17, 2013. The plaintiff, Tomislav George, was the vice president of a homeowners’ association board, which was a client of Sandman’s company. Both men had drunk alcohol at the club. On their way to the plaintiff’s home, Sandman crashed into another vehicle, seriously injuring the plaintiff. The plaintiff’s injuries included a near-amputation of his arm that later required more than 30 surgeries. In the largest jury verdict in California involving the death of a minor, a couple of parties who were involved in the Starline tour bus crash that resulted in the death of a 16-year-old Mira Costa High School student were found liable to pay $26 million in damages to the boy’s family. The verdict was handed down in Compton Superior Court after the conclusion of a long trial. Mason Zisette was invited to attend a friend’s 16th birthday party on a Starline tour bus on July 10, 2014. Before heading to the party, he texted some friends and reportedly stated that he was planning to drink alcohol before he arrived. His friends testified that he drank three beers in 30 minutes before getting on the bus. In addition to the bus driver, there was a tour guide who was present along with the parents of the girl who was having the party. The mother of the girl who was having the party purchased six bottles of Smirnoff vodka, handed them to her daughter and told her to share them with her friends. There were 35 teenagers on the bus for the party. The teens went to the upper deck while the four adults remained on the lower level. Californians are sometimes injured by people who are working at the time of their accidents, including public employees. Both private and public employers may be held to be liable for the actions of their employees in certain situations. A recent case, Jonathan Soto v. City of Long Beach, BC 559317, that was filed in the Los Angeles Superior Court demonstrates the principle of vicarious liability for public employees. On Feb. 4, 2014, Jonathan Soto, a 66-year-old man who was retired, fell asleep on the beach close to the 5400 block of Ocean Boulevard around 10 a.m. While he was sleeping, a city employee with the Department of Parks, Recreation and Marine was driving a city truck on the beach, picking up trash as a part of his job. The driver, Stanley Willie Delaney, also had a passenger in his vehicle. Failing to see Soto, Delaney ran over him. Soto was seriously injured and suffered a broken pelvis and fractures to his lumbar vertebrae numbers one through four. Soto filed his lawsuit against the City of Long Beach and against Delaney on Oct. 1, 2014. A long-term battle for justice for two 20-year-old women who lost their lives in a tragic accident has just ended in a huge way. 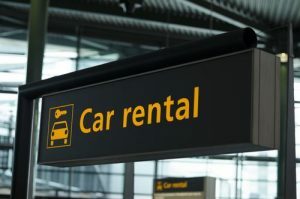 Legislatures have just passed a law that governs how rental companies rent out their vehicles. The new law requires auto rental corporations to fix vehicles that are on their lots with recall orders on them. The legislation was passed because of the extremely catastrophic death of two sisters, Raechel and Jacqueline Houck. They lost their lives in 2004 in a crash that sent their mother on a mission to change laws. Automobile accidents are always tragic no matter who loses their lives in them or who gets hurt. This incident was severely tragic because of the neglect that the auto rental company showed. The PT Cruiser that the girls rented was placed on the recall list. The manufacturer notified the vehicle owners, Enterprise Rental Company, of the defect and the need for repairs. Enterprise rented the vehicle to the Houck sisters and three other people instead of removing the vehicle from the inventory until the repairs were done. The case of Kayleigh McCall v. Coast Line Distributing, Inc. and Paul Anthony Ceja in the San Luis Obispo Superior Court case no. 14CV0535 has taken the nation by storm. The original case was filed back on October 16, 2014 by 27 year-old Kayleigh McCall. Honorable Barry T. LaBarbera presided over the court proceedings in this auto v. auto accident. It wasn’t until March 10, 2016 that a jury verdict was actually reached in the case. The whole case revolves around a father hiring his son to work as a truck driver for his dairy distribution company when he should never have been hired in the first place. Paul Ceja had a long-standing history of incarceration, drug abuse, license suspensions and felonies before ever being hired by his father. It was only 10 months into his being hired that he rear-ended the plaintiff on February 4, 2013 at the intersection of Yerba Buena and Highway 1 in Morro Bay. The son ended up crashing the heavy delivery truck into a smaller car traveling at 55-60 miles per hour. The truck contained various drug paraphernalia such as burned foil containing drug residue, hypodermic needles and Suboxone. He ended up being arrested for driving while under the influence of a controlled substance. A blood test ended up confirming that he had opioids and methamphetamines in his system when the crash occurred. It wasn’t until trial that the defendants admitted fault. Because of the rate of speed and the size difference between the two vehicles, the driver of the smaller car sustained significant injuries and out of pocket costs. Let’s say you are in your vehicle headed to the grocery store and waiting at a stop light. You look up in your review mirror and see a truck twice the size of your hatchback barreling towards you. The driver is looking down at a cell phone, and he’s not slowing down. He rear-ends your car. You’re injured, and now you have medical bills and missed time from work. 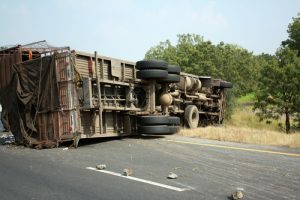 The commercial truck driver isn’t the only one who may be held responsible for your injuries, medical bills and time lost from work due to vicarious liability. 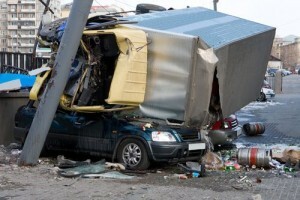 The trucking company who hired the truck driver can be held vicariously liable for the driver’s negligence under a legal principle called “respondeat superior.” That means “let the master answer.” The theory holds an employer liable for an employee’s negligence, like the trucker looking at his cell phone while in the course of his employment in our example. When you do business with a professional driver in California, you certainly expect that you will not end the interaction in an accident. However, this is not been the experience for many people who have recently patronized the Uber rideshare driving service in the state. Claims in the Golden State from users of the Uber rideshare service have gone up in recent years, creating a real dilemma for insurance companies as well as for the rideshare company itself. It seems that drivers who are affiliated with the service have been getting into a great deal of trouble both on and off the clock, and it is uncertain why this is the case. Many of the drivers have been saying that passengers in the rideshare vehicles have been creating untenable demands on them to somehow magically get to a remote location faster than traffic would allow. Because they are supposed to be “professional drivers,” they feel a pressure to perform more efficiently than the average driver would. However, anyone who has faced down the bumper-to-bumper traffic in CA understands exactly what even a professional driver is up against. Sometimes, there is simply no fighting the flow – you simply have to wait your turn.